Kindness in all of its simplicity is a loaded word. It’s a catch-term for a host of other traits, behaviors, emotions, and actions, which must be exhibited on a daily basis in order to cash in on kindness. Just as we pay for goods and services using cash, credit, and even barter, kindness currency varies. So let’s expand its definition by offering the many characteristics of kindness, the very characteristics that make up the seven pathways to profit: compassion, flexibility, patience, positivity, generosity, gratitude, and connection. These path- ways can be used alone or in tandem to increase the big five: profit, revenues, customers, connectivity, and prospects. 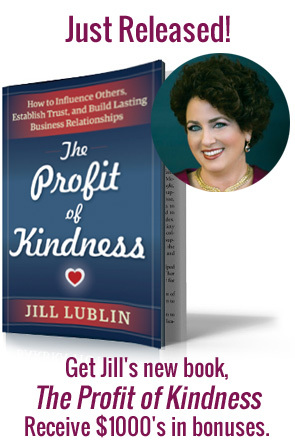 Through case studies and research, this book adds context to kindness while expanding its definition, helping you begin to brainstorm each kindness characteristic as a pathway to your own business goals. Throughout this book, you will hear from executives-turned-consultants, business owners, entrepreneurs, and angel investors who have profited from the currency of kindness. You will learn how kindness became a differentiator that set businesses apart from their competition, sparked new ideas for goods and services, helped retain quality staff, and even landed free advertising. Research peppered throughout the book aims to justify the use of kindness currency in all its forms, and case studies illustrate each kindness currency in action. From the compassion a boss showed a new employee to competitors coming together to mentor one another to the grocery store with a no-questions-asked return policy, and so on, you will be in- spired, motivated, and armed with the tools you need to make kindness key in your business. As we will explore in later chapters, the irony is that playing roles that go against our character usually backfire. When we try to be what we’re not, we rarely do anything very well. By not identifying and capitalizing on our inner strengths (those “soft” characteristics that make us human), and the ad- vantages they provide, we don’t put our best foot forward or use our greatest assets. We hold ourselves back by not using the special qualities that distinguish us from the pack and could help us leverage our ideas and expand our approaches and overall influence. Unkind business tactics have many drawbacks; they can easily get out of hand, and in today’s social media world, no- body can afford to make a false move. Plus, bad business can become excessive, habitual, and extend beyond the work- place. Harsh practices can spill over into other facets of our lives, including our homes and families, which can only be detrimental to our well-being, our spirits, our physical health, our hearts, and our wallets. Ben and Don wanted to get into the movie business. So they started Saturday Night at the Movies, which showed previously released movies at a hall in Northern California. Each week, they paired two outstanding films, usually classics, which viewers may have missed or wanted to see again. Occasionally, Ben and Don invited local film aficionados to lead discussions. For one showing, they invited Charles Champlin, the Los Angeles Times’s chief film critic. Ben and Don also convinced their friend Sheila Benson, a local part-time film reviewer, to introduce Champlin to the audience. A warm, generous, hard-working, sin- gle mother of three who juggled various jobs, Sheila was always pressed for time. However, when her friends asked, she rearranged her crazy schedule and even made time to go to the airport with Ben to pick up Champlin so she could get to know him. As the trio was driving from the airport, Ben’s car ran out of gas. Ben was forced to abandon Charles and Sheila in search of a gas station. While he was gone, Champlin and Benson talked about movies nonstop, barely noticing that Ben was gone. They got along well, built strong mutual respect, and after that weekend, Charles and Shelia kept in touch. Several months later, Charles announced his retirement from the Times and recommended Sheila to be his successor. As a result of her kindness and for going to great lengths to help her friends, Sheila became the Los Angeles Times’s top film critic, a life-affirming position that she held for a decade— and she didn’t have to take on any other jobs. No more juggling, no more maniacal schedules. She had stability. Devon’s appointment to head the city’s high-profile housing project was controversial. No one doubt- ed his engineering and administrative expertise, but they wondered whether Devon’s negotiation skills were good enough. The housing project, the city’s biggest and costliest development to date, was bogged down in a series of disputes and delays be- tween the city and its labor unions. Coyle, a tough, bombastic, veteran negotiator, was the unions’ spokesman and the main thorn in the city’s side. A dynamic leader and media darling, Coyle flamboyantly made outrageous claims, unreasonable demands, and refused to budge. His style was to constantly scream, harangue, and wage all out war to get his way. Devon listened to the mayor’s advice, but shouting and carrying on was not his way, so he decided he had to be himself and act naturally. So when Devon spoke with Coyle, he let Coyle rant, rave, and demand. He didn’t interrupt, argue, or get into shouting matches, but calmly and firmly stated and stuck to his own position. Throughout the course of the weeks-long negotiations, Devon made it a point to ask Coyle personal questions such as, “How is your family?,” “Did you have a good weekend?,” and “How did you like that game?” Although Coyle briskly brushed off Devon’s inquiries, Devon persisted being kind, friendly, and warm. These are just two examples of how currencies like com- passion and positive, respectful communication can pay off big time in business. Sheila knew how badly her friends need- ed her, especially as they entered a competitive industry in a saturated market. If it weren’t for her compassion for the hurdles her friends were trying to jump, she would never have put herself in a position to meet Charles Champlin. Sheila depended on multiple jobs to make ends meet, but when she turned paying opportunities down and rearranged her commitments in order to help her friends, she was paid back in remarkable ways. Similarly, Devon committed to remaining authentic to his core values of kindness and respect, despite the advice of the city’s mayor. By relying on his own humanity, Devon was able to find common ground with a jaded union spokesman: They were both passionate and caring people in the business of doing what they thought right and necessary. To many people’s surprise, Devon proved himself to be not only prudent, but powerful. Sheila and Devon found themselves in very different positions than when they first started, and that is because they positioned themselves by leading with kindness first. Their “rocks” of compassion and positive, respectful communication led to high returns on kindness (a ROK like no other).